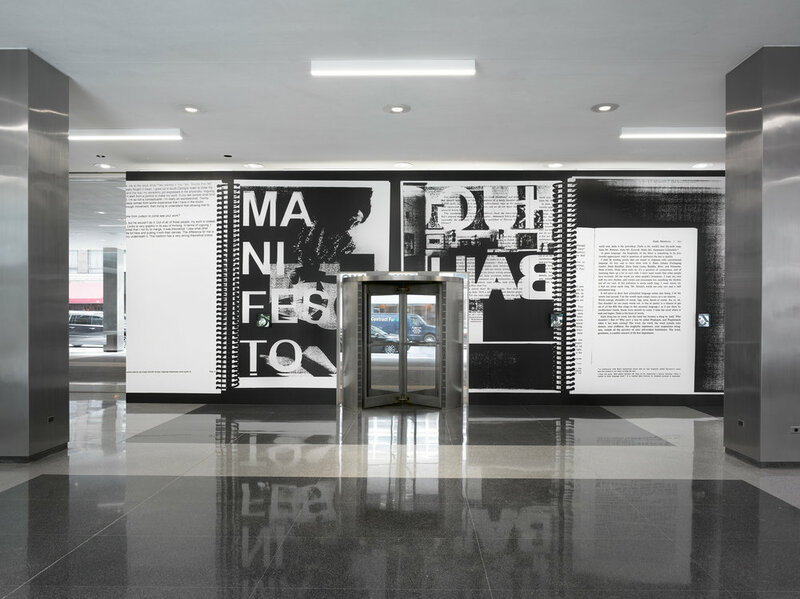 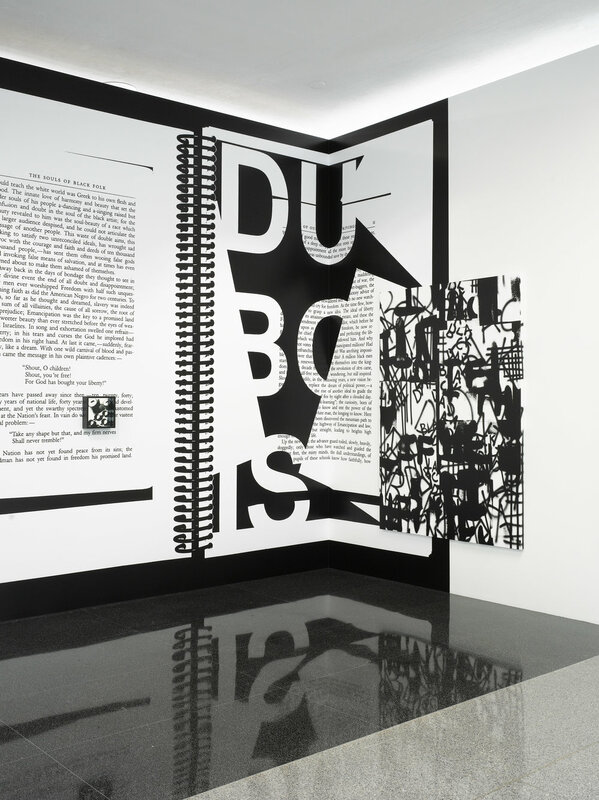 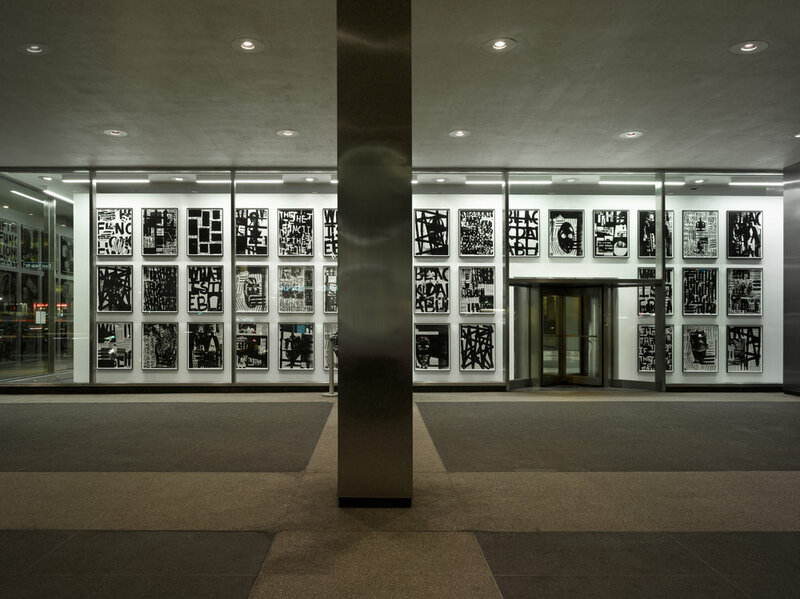 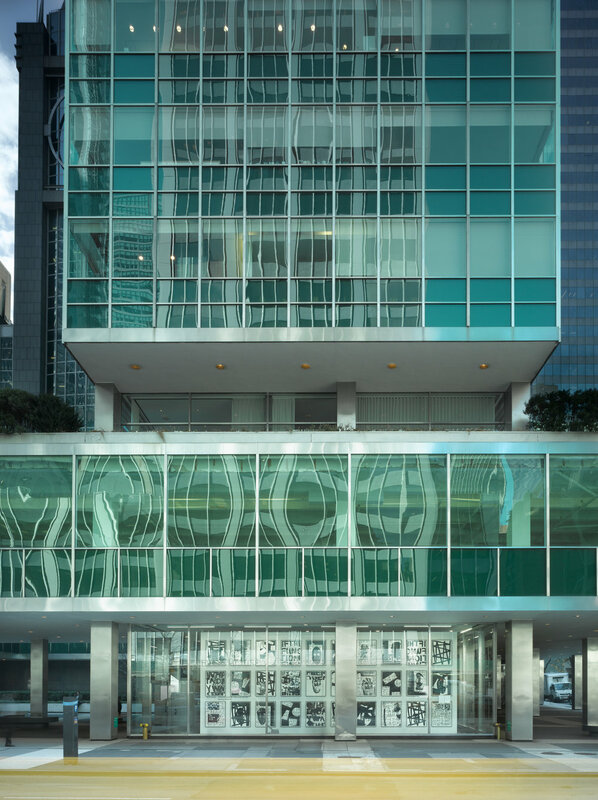 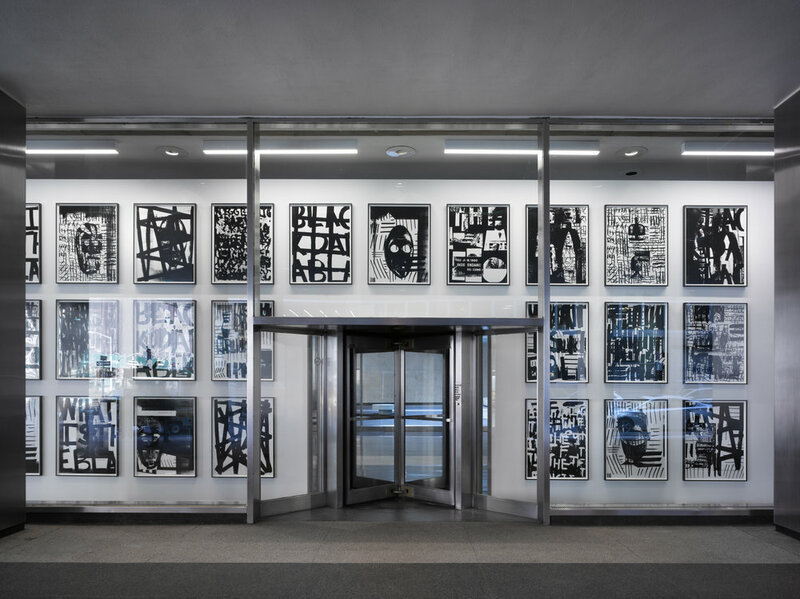 The Lever House Art Collection is pleased to present what a day was this, a site-specific installation by New York-based artist Adam Pendleton (b. 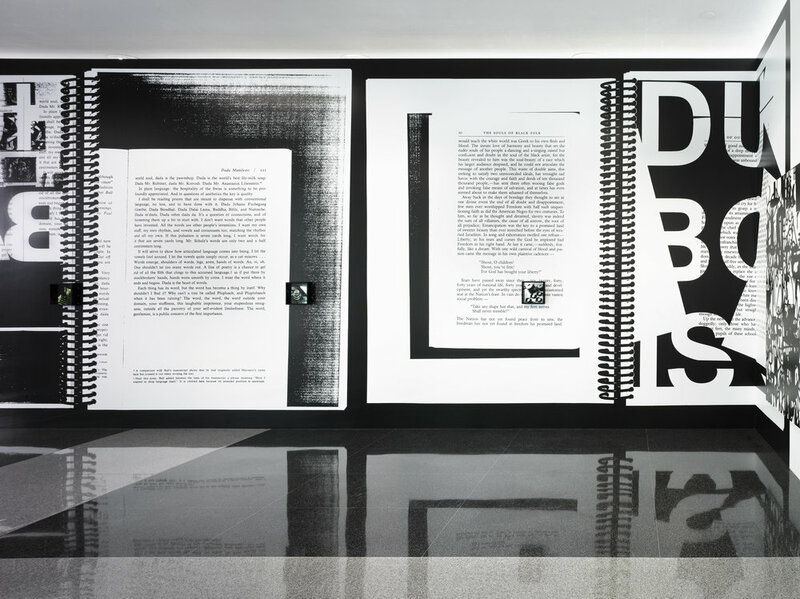 1984). 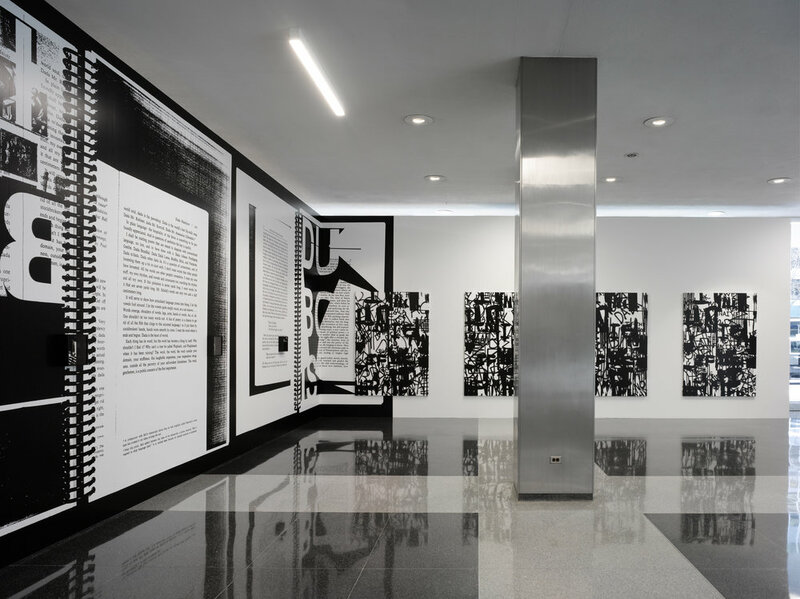 The installation establishes a spatial and conceptual dialogue with the transparency and reflection of the iconic modernist architecture. 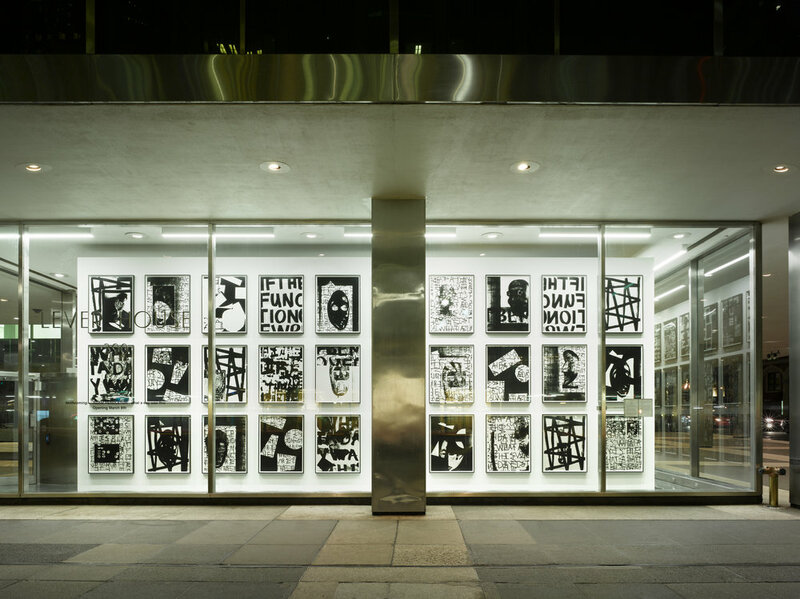 Pendleton groups together works from his OK DADA OK BLACK DADA OK and System of Display series, along with two multi-paneled silkscreen ink on Mylar works.